Developing a Multilingual app, for the target audience who are multilinguistic, is essential to create a connection with better user experience where communication is the key and integrating local languages provides a wider acceptance. As the era of digital services ushered, the convenience of omnipresent services is no more a marvel to the people globally. Certainly, it has become a boon for both businesses and consumers in the sense of expanding customer outreach beyond borders and getting offerings on the doorstep respectively. But, everything is not a bed of roses. A plethora of obstacles come in the path of extending the mobile app services reach to every customer worldwide. The language is the topmost challenge that may impede the business growth if the multilingual need is not catered. Yes, the medium of communication becomes a great barrier to the business in the context of limited accessibility, decreased number of app downloads, and lastly, the revenue. The reason is clear- We are living on the planet that’s highly dominated by thousands of languages and dialects. However, English is a predominant language, but it’s not supported in the non-English speaking nations, which indicates you are losing the lucrative opportunity to sell the services to the people. Moreover, attempting to build various monolingual apps for different languages is not feasible in every way. The two instances showing the impact of creating a multilingual app. 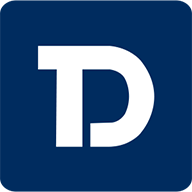 According to Distomo study, the localization of iPhone app text resulted in 128% increase in download and 26% increase in revenue for each country. The clash of clans game app enjoyed the perks of becoming the top grossing iPhone mobile game app in the USA after the localization of the app in the Taiwanese market. With this explanation, the question WHY linguistic apps are required to build is perfectly answered. It’s again not easy. The multilingual feature implementation is a great synonym for the nightmare for the developers. They struggle to engineer the feature that can handle multilingual nuances and enhance the user experience. This is really tricky to develop the multilingual app that drives brand engagement, improve conversion and amplify the business ROI. The multilingual app development doesn’t signify just creating the multiple versions of the app with translation in various languages. The app localization means translating the app in different cultures that brilliantly fits well with the design language, keep the content in context, maintain the etiquettes and add value to the locale. The simple language translation has never appealed the people of a culture and does not deliver the best experience because they are unable to connect with the app. The app must be built after critical-thinking from the technical and cultural perspective as several glitches and bugs emerge when linguistic apps go into the development. Before the project goes on the development floor, the business app idea is always quantified to identify what are the features needed to implement and ensure the app goes well with the target audience needs. During the analyzation, the need for additional language or mobile app localization exists or not is vividly described. But, still, the businesses prefer to make the app multilingual in the second version or make the delayed decision for app localization before the release, which is a big mistake they make. The reason is the last minute decision or planning for localization at the later stages doubles the efforts, pop-up technical challenges and create linguistic nuances that are difficult to handle. Think and plan for multilingual integration beforehand to avoid further intricacies. My two cents: Don’t overlook it because it’s extremely painful later coming back and ask the engineers for multilingual feature implementation. The conventional practice of leaving no space more than it accommodates the English strings is not a wise decision. You should refrain from such practice because during UI expansion programming the other languages require more space and that may create errors. So, to avoid future performance needs, leave extra space. UTF-8 encoding is swifter and create fewer errors during the conversion and debugging. That’s why using it for writing strings is a smart decision. Alongside language, if the date and time in apt format and local currency is used, it gives a complete look to the app for localization. The maintenance and support services should preferably be provided in the local language. Going ahead, having a customized keyboard is nice-to-have. Creating one-size-fits-all solution is all-imperative for the multilingual apps because the content appears to every geography in their native language should absorb the culture, which makes the translation and the resultant layout profoundly important. It’s significant to ensure that the app’s look and feel must be intuitive, engaging and retain the original aesthetics. Many times, specifying the number of lines for text breaks the design because the verbose languages won’t fit up in the same space and consequently, the important text gets hidden or truncated. It’s escapable by using zero lines for UILabels. The limits can be put in UILabels’ width through leading and trailing space, but not on the height because the long text will get truncated. The controls should be named meaningfully, but not with the name of the contents. Prioritize the important parts with the proportional layout and leave the white space in abundance. The translation plays a vital role in connecting the people from two different geographies and cultures. Mainly, there are two types of translations- Machine based translation and human translation, which come with their own pros and cons. The machine translation software enables the conversion of one language to another based on the pre-specified algorithms with a great level of accuracy and at random speed. The time and money savvy software are highly reliable and effective, but they can’t produce the expected results. The reason is the machine translation lacks the human intelligence and personalization, which in turn, cannot infuse creativity in the content, add up cultural relevance, and bring the human expertise of making the content look original. It indicates considering human translation is worthy as human interpret the text in a way that goes well with the users’ expectations and makes the content flow flawless. However, the idea of human translation is also unfeasible in some cases like- finding the maestro of multiple languages is difficult, the human endeavor demands high time and dollar investment, professionals charge hefty sum, and plain language translation often appears robotic translation. Both the approaches have their advantages and downsides, which muddies the water. 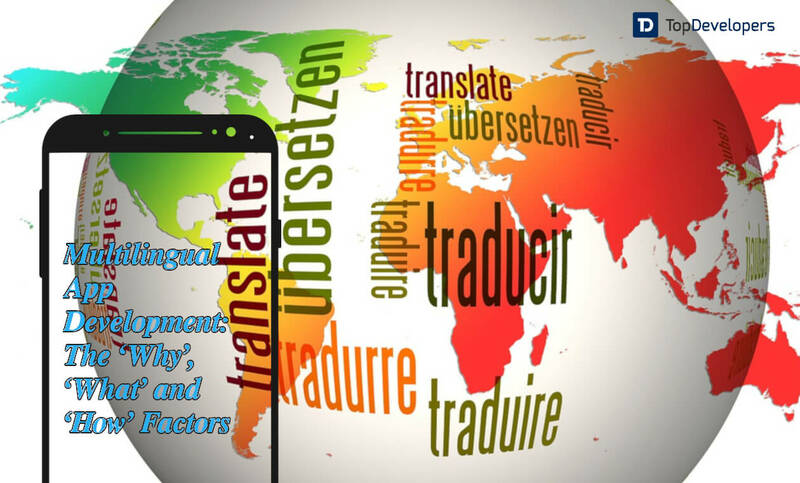 Here, outsourcing the translation can be a better option where the team of professionals is familiar with the local language and when the developers send them the code, they send back the translated version. But, wholly counting on translation outsourcing is also unfeasible, so it’s necessary to conduct the localization test to ensure everything is right before the app release. Taking a step further, no matter what approach you are using for the translation, but for controlling and monitoring the translation process precisely, embracing a translation management system is good. The TMS program streamlines the communication between all the team members that are working on the language translation and let them work together and track the work progress such as downstream, upstream, editing, or proofreading of each other to get the winning results. The centralized dashboard eliminates the possibilities of duplication during the translation, help in identifying the potential pitfalls and assist in improving the overall quality of the translation done. Every developer did their job at their best, but perhaps, it may not be the case with the users. The designed app’s language or layout may offend the locale. It becomes important to search what’s missing and fix the things beforehand. The double pseudolanguage is a quick and dirty way to preview the storyboard squarely in the interface builder to detect the layout problems which may exist with different localizations. It displays the layout constraints that occur and how the interface responds other than expected on different devices. What’s more? Optimize the user experience. The user experience is a key for the digital business and mastering the visitors’ journey is vital to not lose sales opportunities. For the optimal user experience, the users should be redirected to the right app version automatically based on the user’s location data in a couple of seconds where the local content is displayed and the same language should be maintained during the complete time as the users browse. Multilingual app taking a step higher has turned from necessity to a trend that’s showing no sign to cease or slow down. Certainly, it’s not beyond the anticipation because of the expansion of mobile app services at the exponential rate. The app localization makes the app offerings easily accessible across the boundaries despite the cultural and geographic differences only if its developed rightly. For making the impeccable app that extends the reach internationally and engages the users like no other, the tips are shared to make multilingual app development a piece of cake. Make your app responsive to the market trends and user’s needs through linguistic feature integration in order to outshine others.